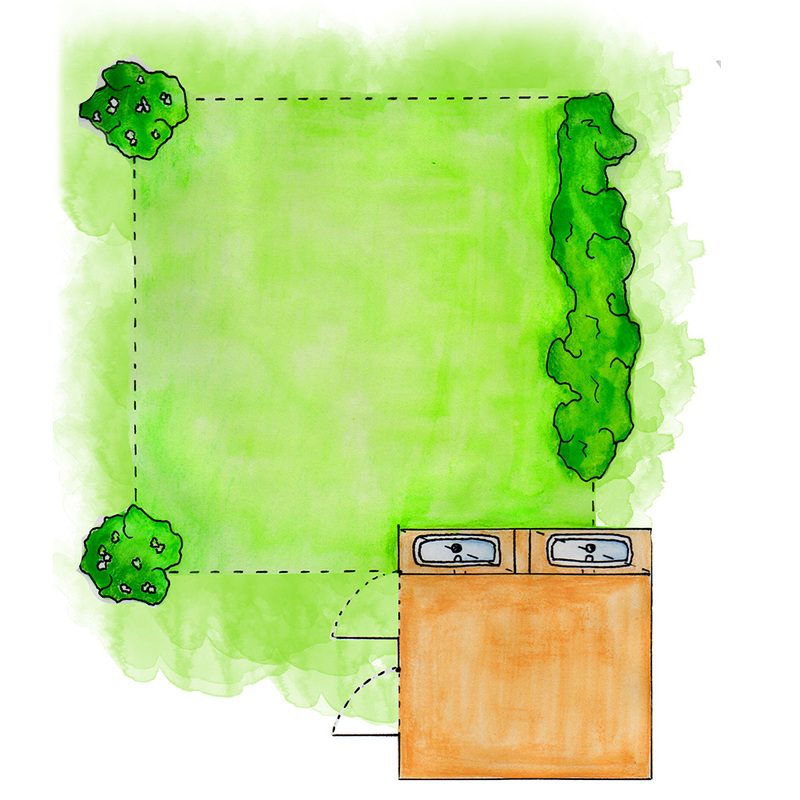 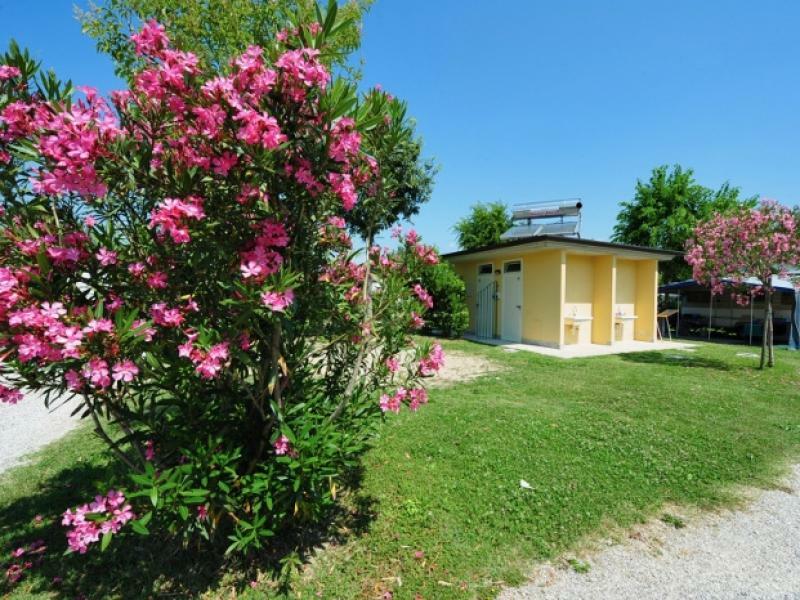 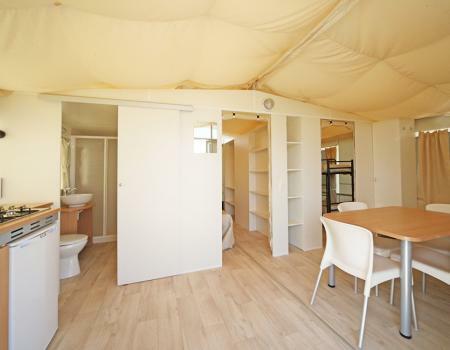 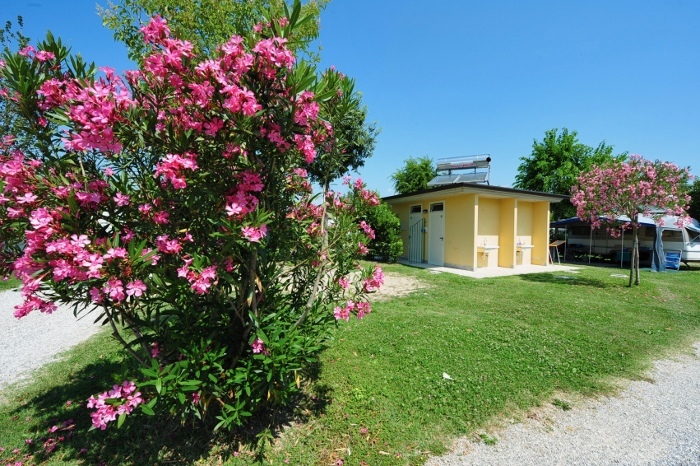 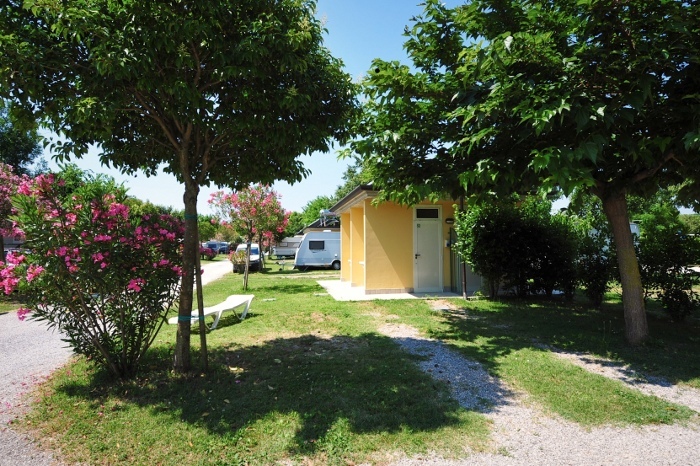 At your disposal 90 square meters of grass on which to place your camper, tent or caravan. 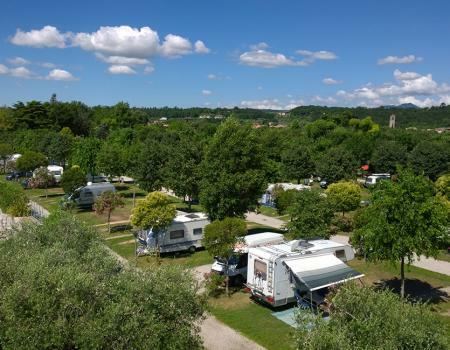 To delimit the Superior pitches you will find plants and hedges of the Mediterranean forest. 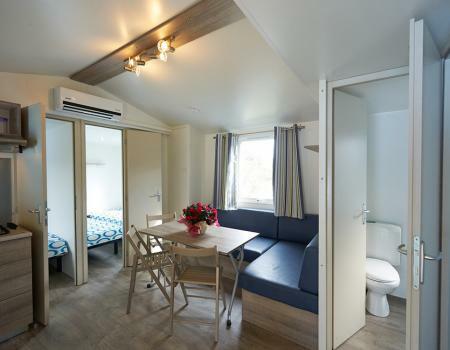 Inside the pitch you will find a private cabin with toilet, sink, shower and hot water always available for your maximum comfort. 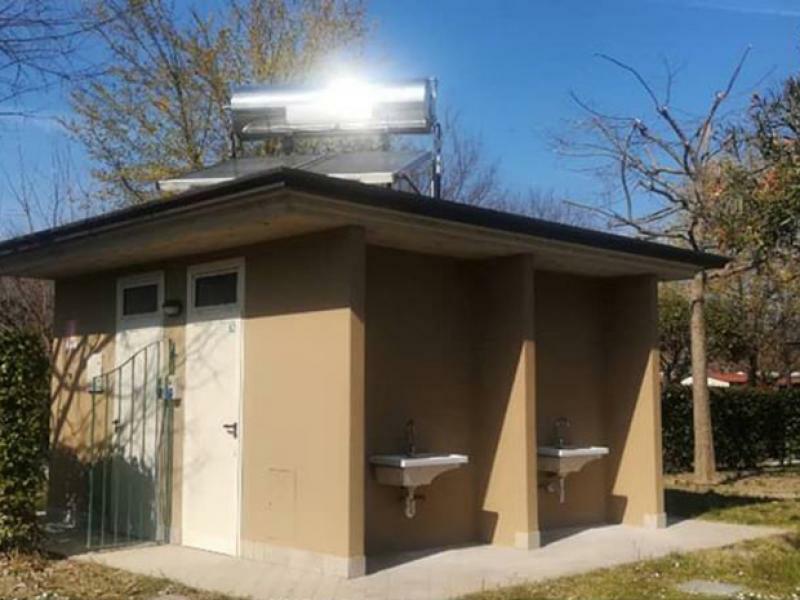 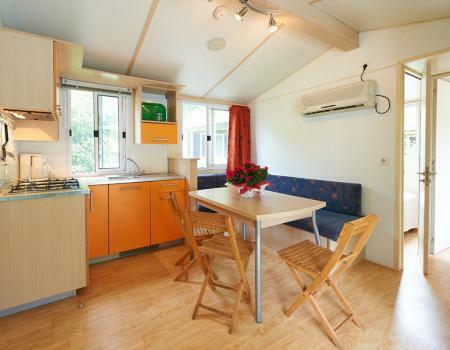 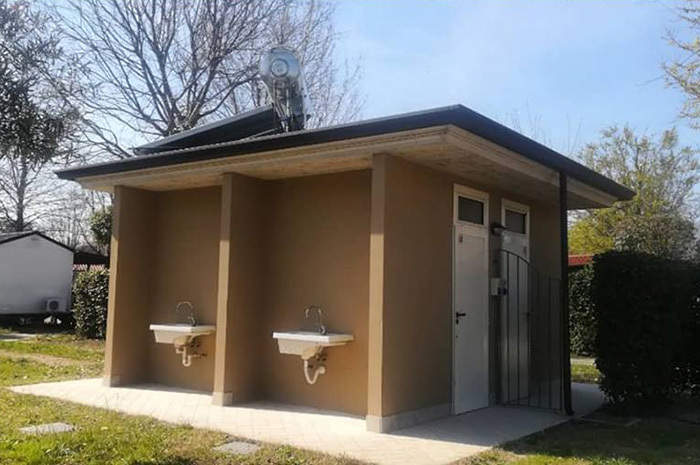 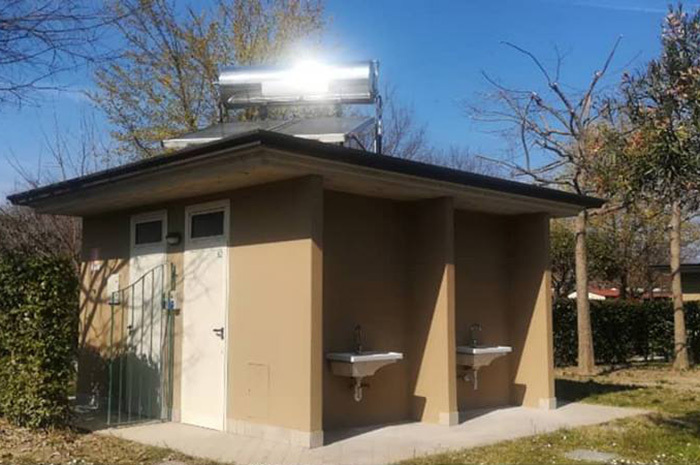 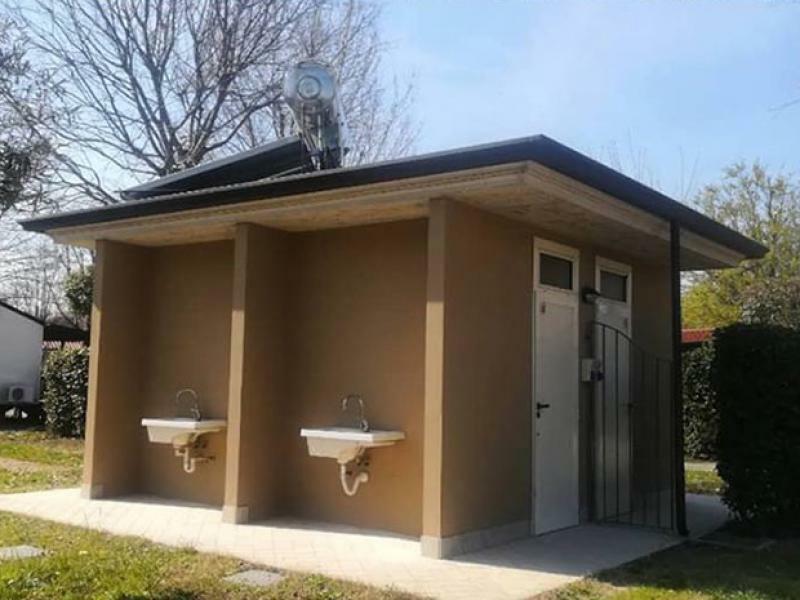 Outside there is also a sink to wash the dishes also equipped with hot water, heated by solar panels. 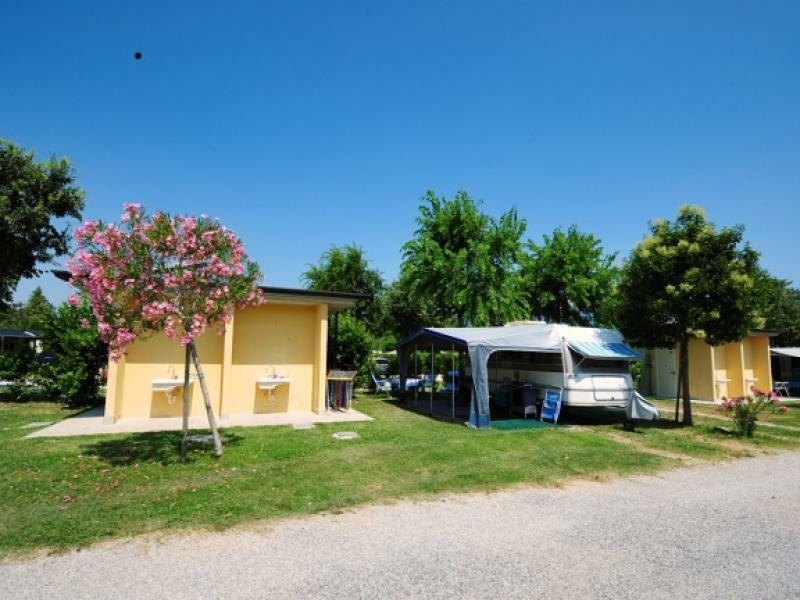 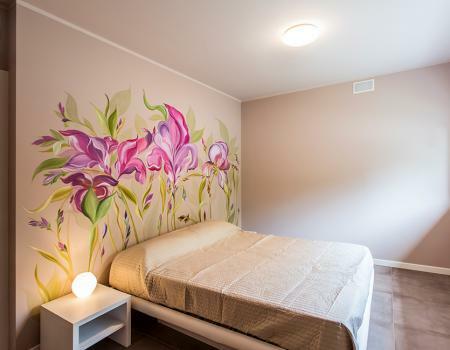 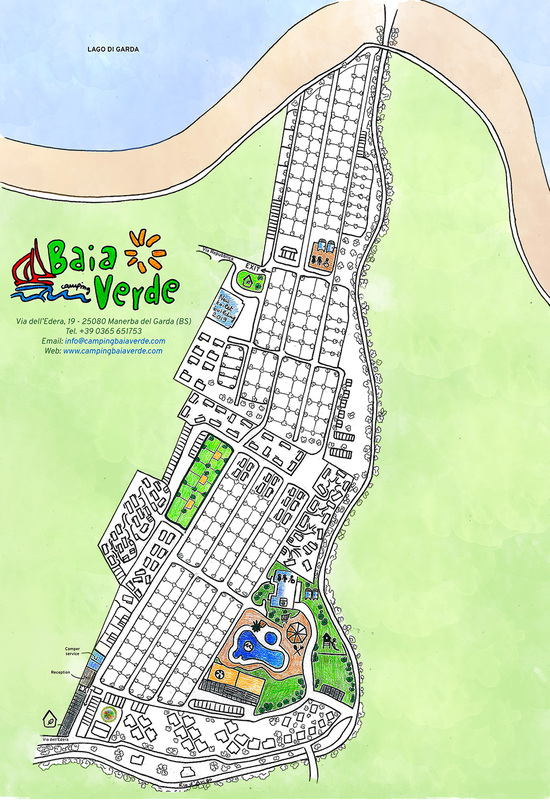 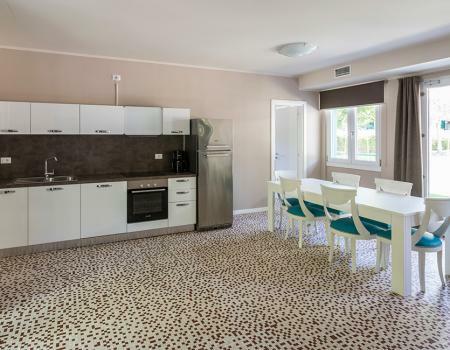 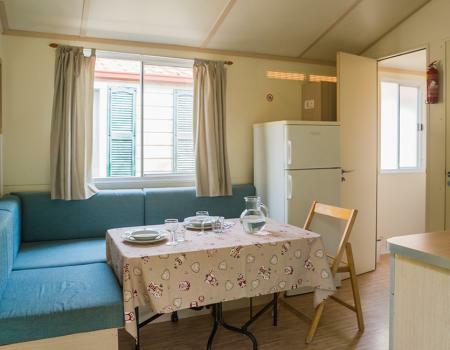 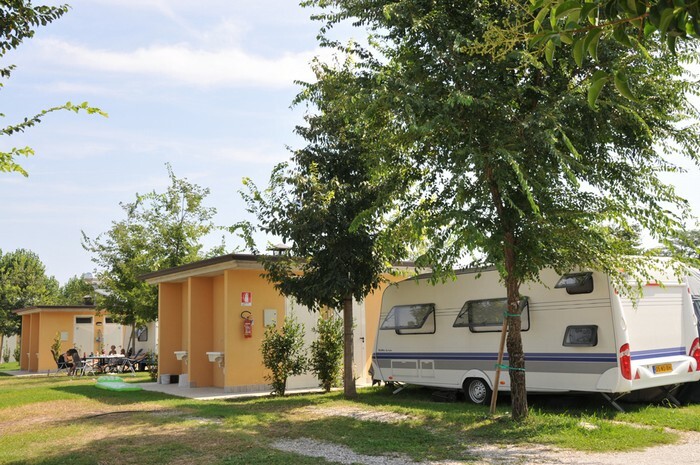 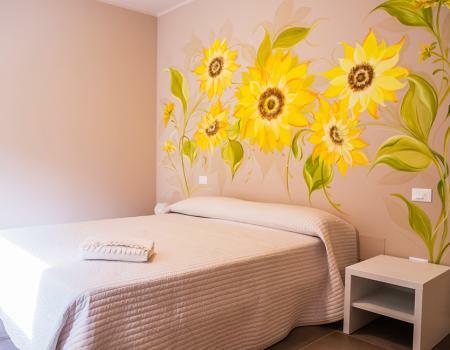 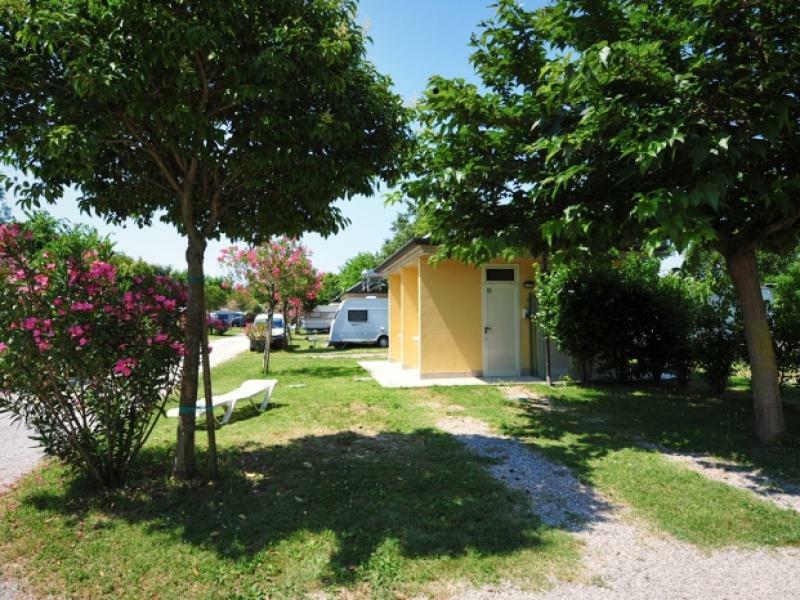 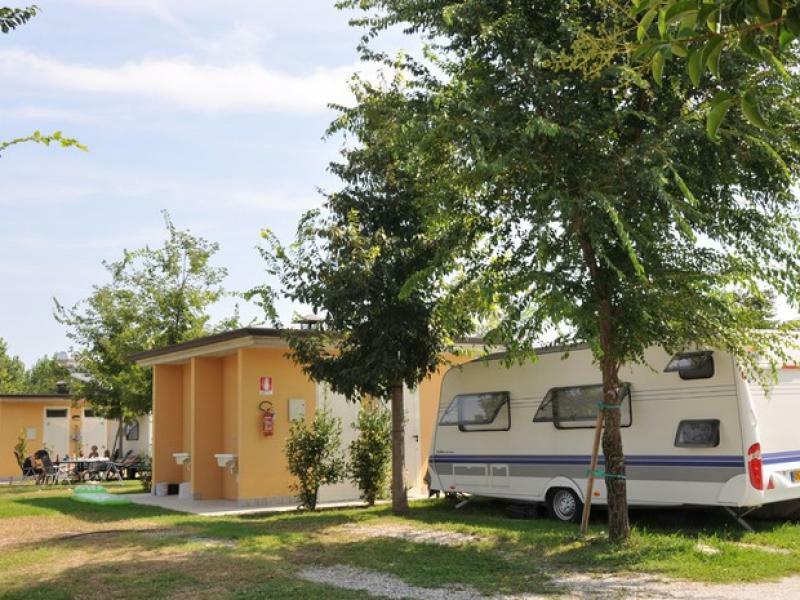 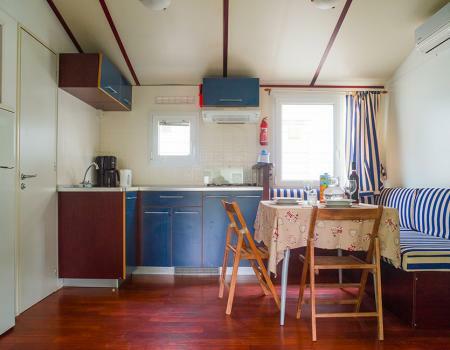 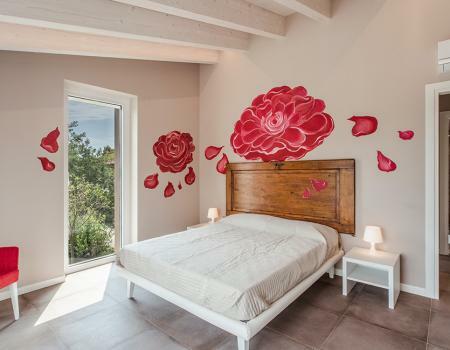 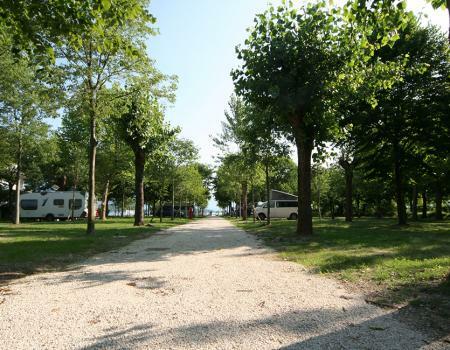 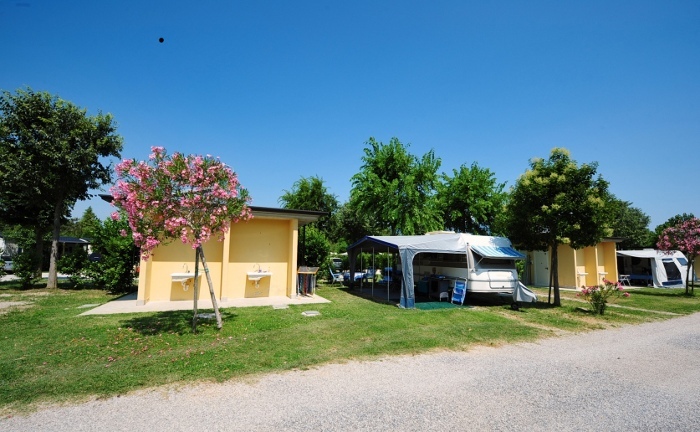 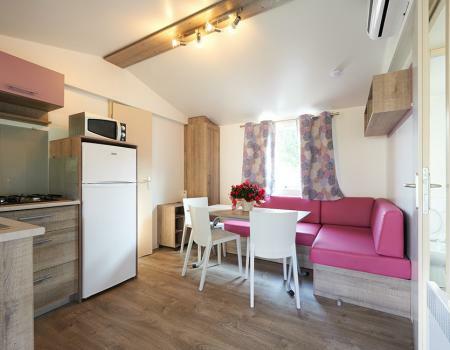 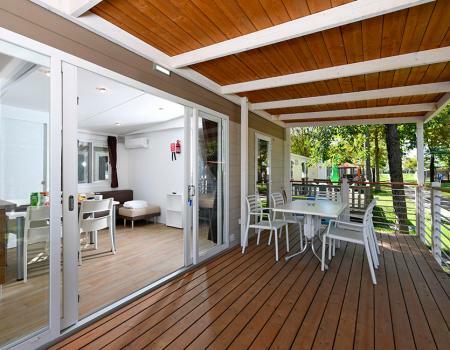 The Baia Verde Camping guarantees connection to the electric current for a value of 16 AMP with sockets in accordance with CEE for all the pitches type Superior.